3 Years or 30,000 Miles! 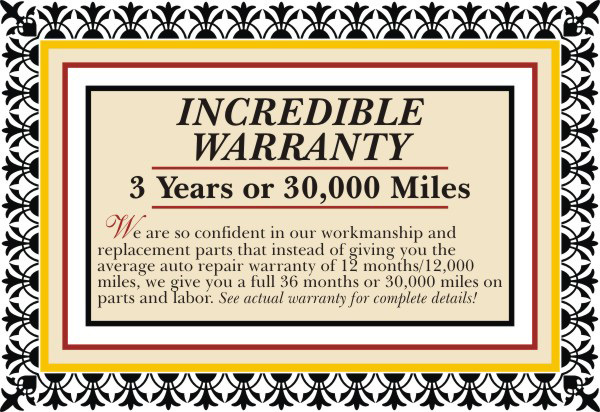 We’re so confident in our workmanship and replacement parts that instead of giving you the average auto repair warranty of 12 months / 12,000 miles, we give you a full 36 months or 30,000 miles on parts and labor. See Actual Warranty for Complete Details!